Fashion plays a great part in the success of individual products at different times. The warm, natural look created by Wooden venetians fits beautifully with current trends. 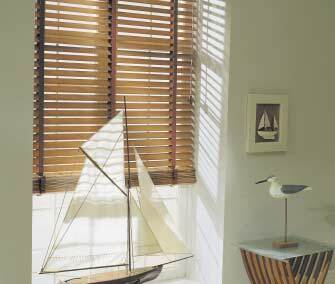 Available in 2 slat widths in a range of colours the blind can be made with standard ladder strings, or with ladder tapes and brass coloured fittings. Whichever style you choose each blind comes with a matching pelmet (flat for inside, mitred returns for outside recess).